December 26, 6:30 pm, Peacham Knitters and Puzzlers – Bring your knitting or other handwork for an evening of creativity and chatting. Or work on the current jigsaw puzzle. December 30, 10 am – noon — Coffee Hour — Join us for a cup of coffee or tea, a sweet or two and good conversation. Suitable for all ages! December 31, New Year’s Eve – CLOSED. January 2, 7:00 pm, Board Meeting – Meetings are open to the public. January 6, 9:15am, Story Time — Stories and activities for the young at heart, with a guest reader! 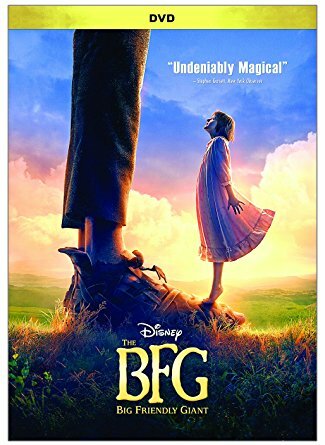 January 6, 6:00pm, Family Theater — “The BFG” Experience the new Disney interpretation of Roald Dahl’s famous book. Enjoy some cocoa, popcorn and a great movie. PJ’s optional. All children must be accompanied by an adult. Rated PG. January 9, 6:30 pm, Peacham Knitters and Puzzlers – Bring your knitting or other handwork for an evening of creativity and chatting. Or work on the current jigsaw puzzle. January 12, 7pm, Winter Series — Talks by some of Peacham’s own professors! Second and fourth Thursdays in January and February. Or support the library by using Amazon Smile!